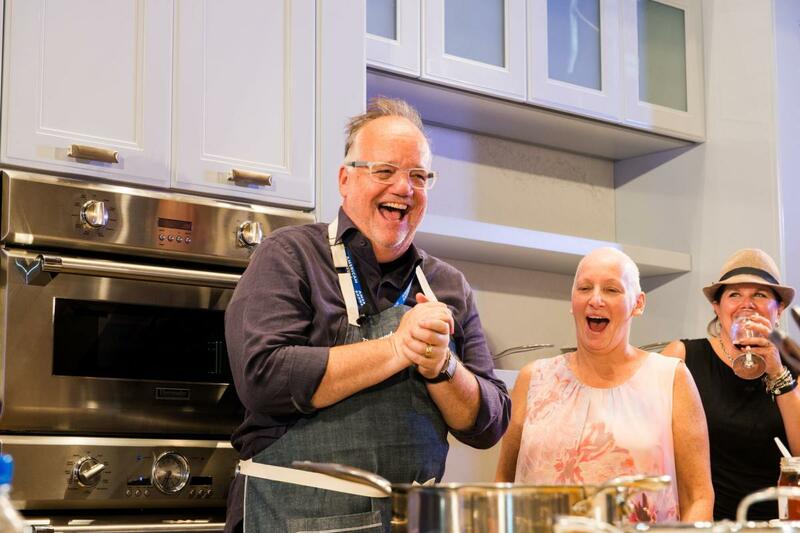 Nine leading Chicago chefs have been enthusiastic supporters since the popular culinary event’s beginnings. Chicago Gourmet celebrates its 10th anniversary September 19-24, 2017 at Millennium Park — and the smash culinary event’s nine founding Chicago chefs invite you to join the festivities. There’s plenty to do beyond the cooking demos, wine and cocktail seminars, and tastings from notable restaurants and craft beverage makers. 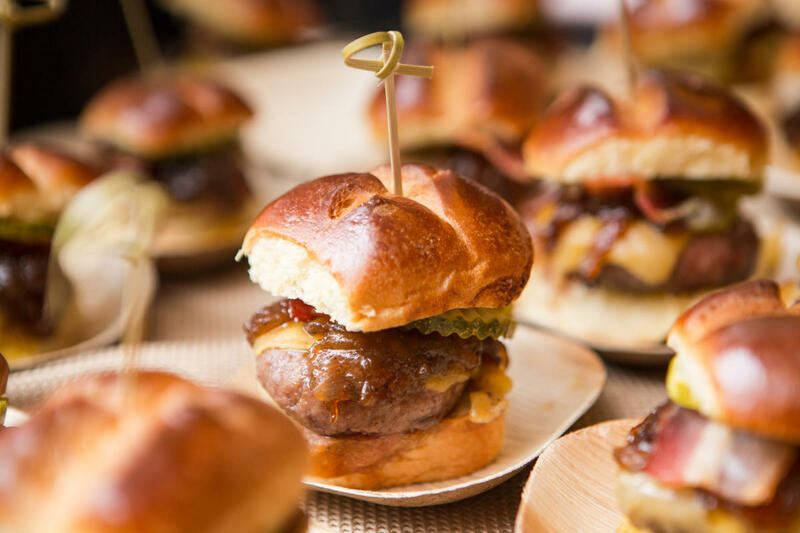 Highlights of this year’s event include eXtraordinary Chefs – eXtraordinary Places, a collection of 10 parties at 10 iconic Chicago locations; the Hamburger Hop, a popular burger cooking showdown; and Sweets & Beats, an after-hours dance party at Willis Tower. 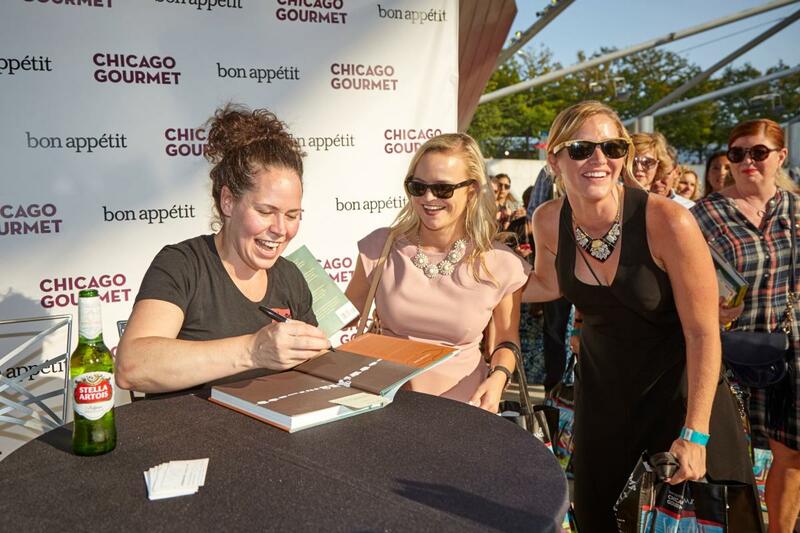 Read on to learn about the Chicago chefs who have been ardent supporters of Chicago Gourmet since its inception 10 years ago. 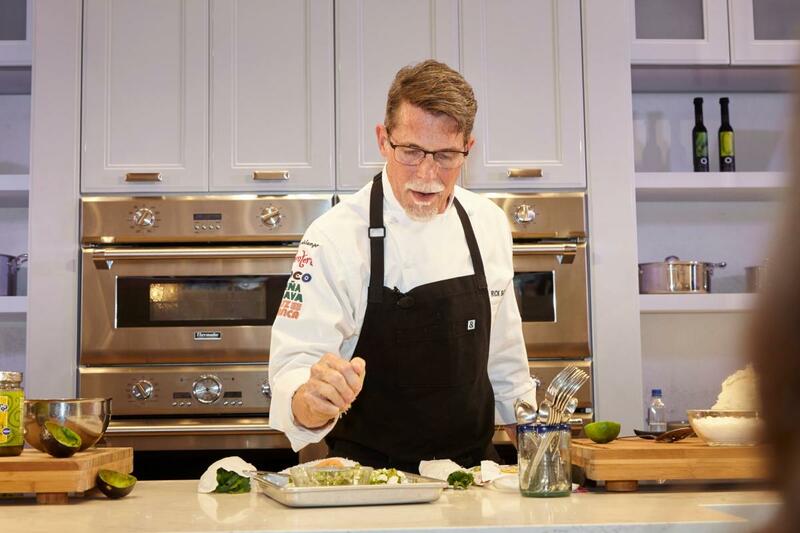 Rick Bayless rose to celebrity status after winning Bravo’s Top Chef Masters and hosting the long-running PBS series Mexico—One Plate at a Time. Lauded for changing the perception of Mexican food in America, Bayless’ six critic-approved Chicago restaurants include the James Beard Foundation Award-winning Frontera Grill, which serves up creative Mexican fare in the River North neighborhood; and Michelin-starred Topolobampo, a 2017 James Beard Award winner for Outstanding Restaurant, where south-of-the-border favorites receive an upscale twist. A top contender on season two of Top Chef Masters, Tony Mantuano is chef/partner at Spiaggia, Chicago’s only four-star Italian eatery. He is also the owner of River Roast, a contemporary American tavern; and chef/partner at Terzo Piano, a stunning Mediterranean-inspired restaurant at the Art Institute of Chicago. Mantuano won the James Beard Award for Best Chef: Midwest in 2005, and he and his wife, Cathy, were honored with the keys to San Martino in the Italian region of Molise for serving authentic Italian cuisine in America. 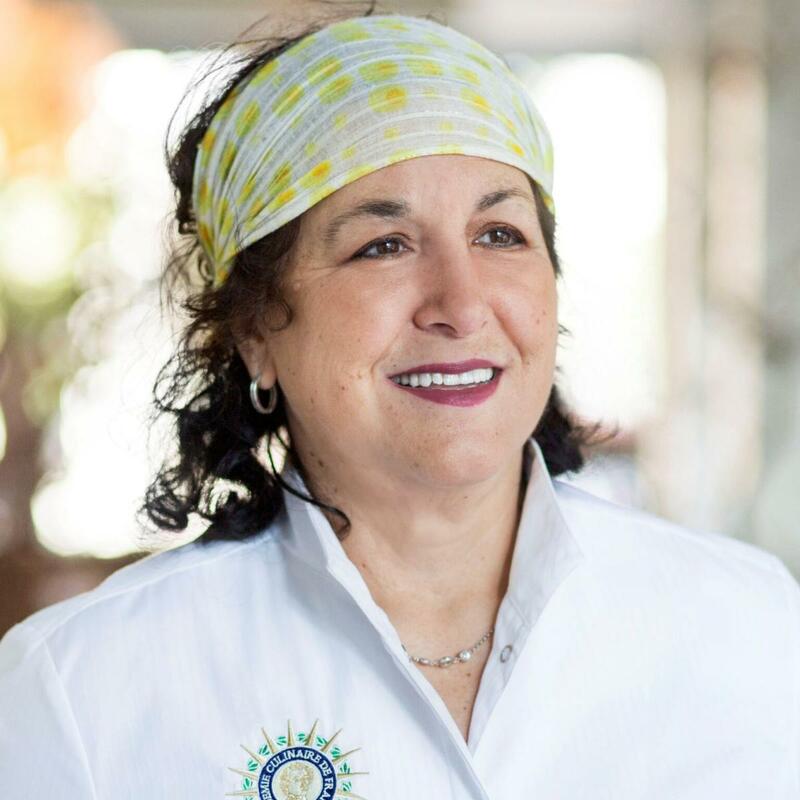 Michelin-starred NAHA in River North — known for dishing up Mediterranean-style American delights using fresh produce and meats — is a culmination of Carrie Nahabedian’s 30 years of cooking experience. She most enjoys working side-by-side at the restaurant with her cousin, Michael, and two sisters, Chris and Cathy. In 2008, Nahabedian won the James Beard Best Chef: Great Lakes award. Her second Chicago restaurant, Brindille, offers refined Parisian cuisine in an intimate atmosphere. 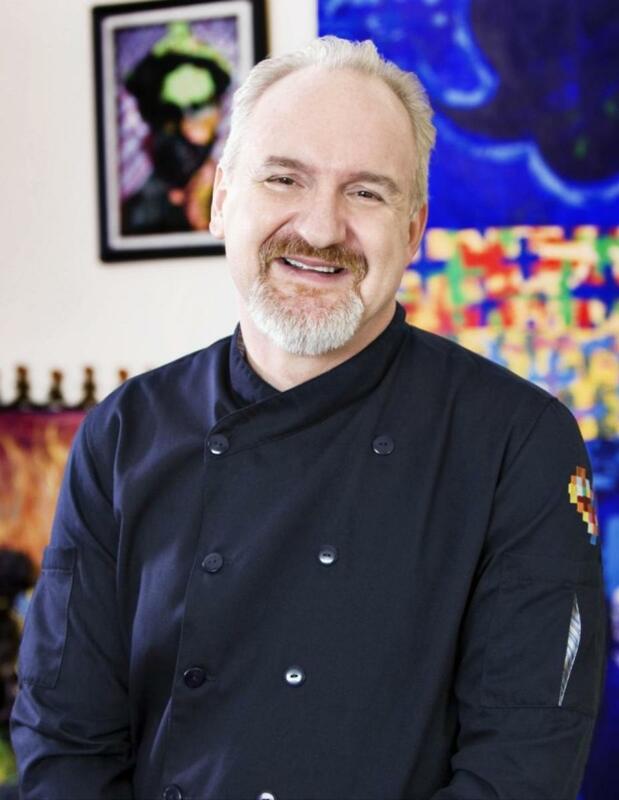 Chef Art Smith’s passion for bringing people together through food shines in all of his culinary pursuits. 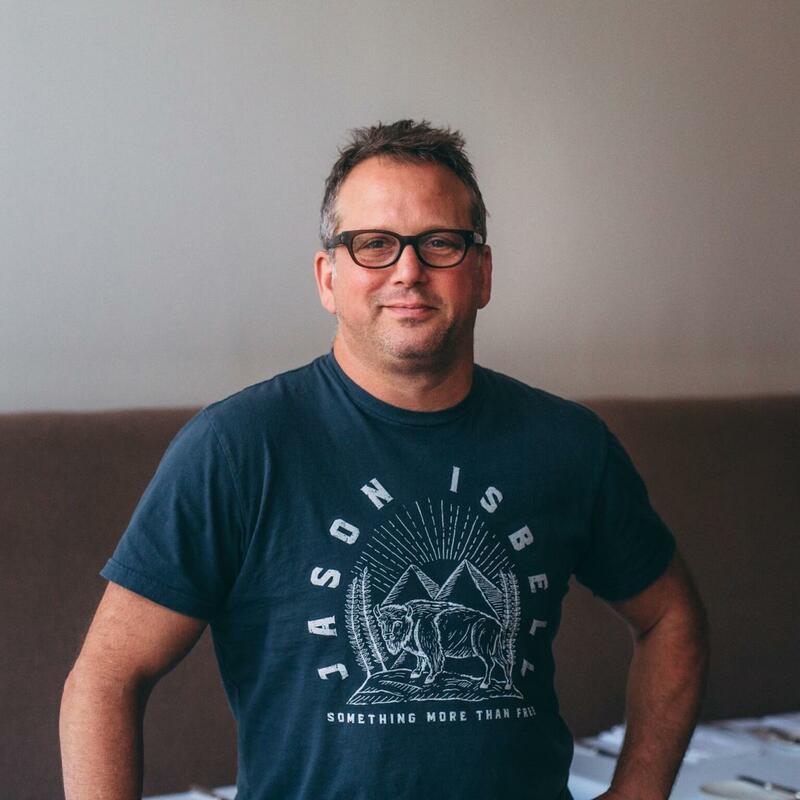 He is the executive chef/co-owner of Blue Door Kitchen & Garden, a farm-to-table paradise in Chicago’s Gold Coast neighborhood; and is the pitmaster at Chicago q, which cooks up house-smoked Southern barbecue. Smith was named the James Beard 2007 Humanitarian of the Year for his efforts to educate students of all ages about Southern cooking and horticulture, and was also honored by Chicago magazine as Chicagoan of the Year that same year. Mindy Segal specializes in contemporary American cuisine, and is known for her modern twist on classic dishes. After working in many of Chicago’s finest eateries, including Charlie Trotter’s and MK, Segal opened Mindy’s HotChocolate, a hip locale revered for seasonal fare and decadent desserts. 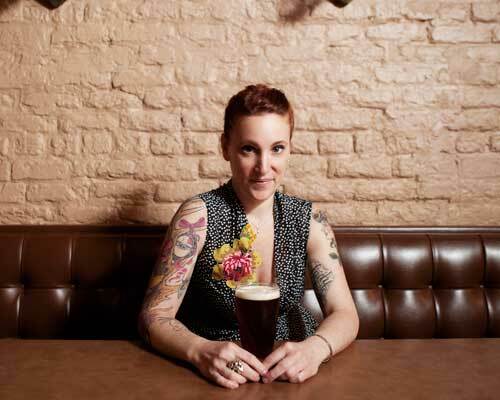 The James Beard Foundation named Segal Outstanding Pastry Chef in 2012, and her cookbook, Cookie Love, has received rave reviews from The New York Times and NPR. 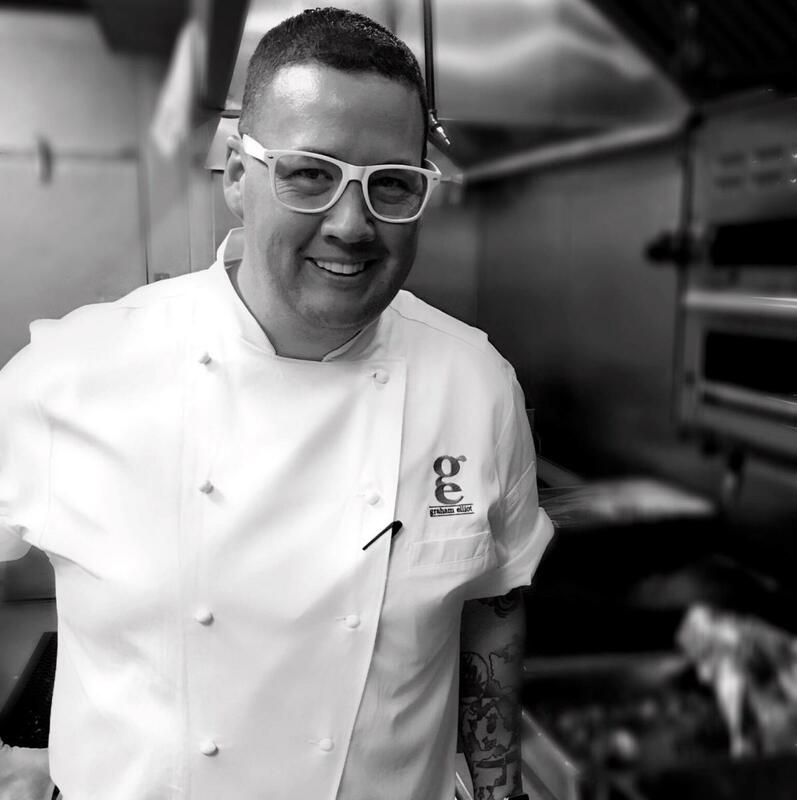 At age 27, Graham Elliot became the youngest four-star chef in the U.S., and opened Chicago’s Graham Elliot in 2008, which was awarded two Michelin stars. He was inducted into the Chicago Chefs Hall of Fame in 2012, and the city of Chicago celebrates Graham Elliot Day annually on September 19. He has been elevated to celebrity chef status thanks to his appearances on Top Chef and Top Chef Masters. Elliot has plans to open a new concept restaurant in Chicago, and is also the culinary director of Lollapalooza. 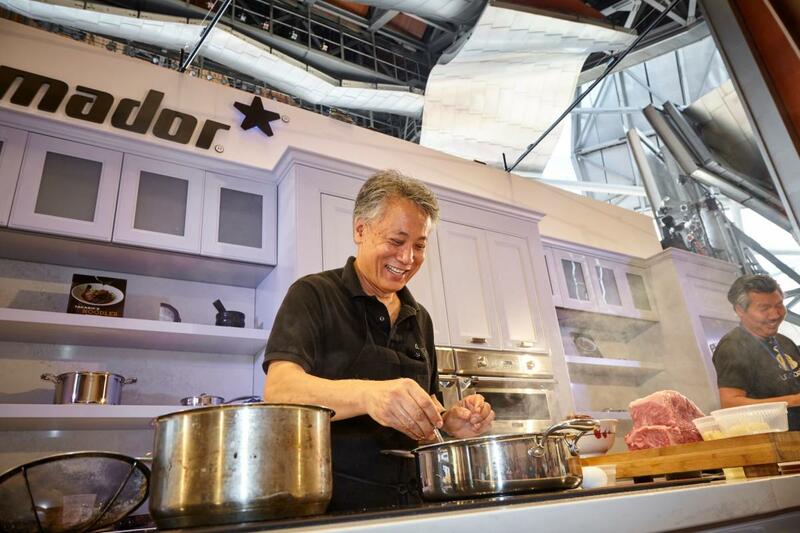 Known for his talent for melding modern French, Asian and American cuisines, Takashi Yagihashi was honored as James Beard’s Best Chef: Midwest in 2013. He is the owner/chef of Slurping Turtle in River North, a nod to his childhood culinary experiences in Japan and a two-time winner of the Michelin Bib Gourmand award. Yagihashi has also competed on Top Chef Masters and Food Network’s Iron Chef. Stephanie Izard took home the title of first female to win Top Chef in 2008, and was also honored as James Beard’s Best Chef: Midwest in 2013. She is the chef/partner at three renowned Chicago restaurants: Girl & the Goat, where Izard serves innovative small plates with global influences; Little Goat Diner, a tribute to timeless diner eats; and Duck Duck Goat, featuring a menu of authentic Chinese food. A proud Chicagoan, Paul Kahan is the chef-restaurateur behind the One Off Hospitality Group empire, which includes 11 culinary ventures. Standouts include Blackbird, applauded for its imaginative Midwestern cuisine; Publican Quality Meats, a butcher shop, bakery and gourmet market; and Nico Osteria, an upscale Italian seafood restaurant in the Thompson Chicago hotel. Kahan’s accolades include being awarded James Beard’s Best Chef: Midwest in 2004 and Outstanding Chef in 2013.